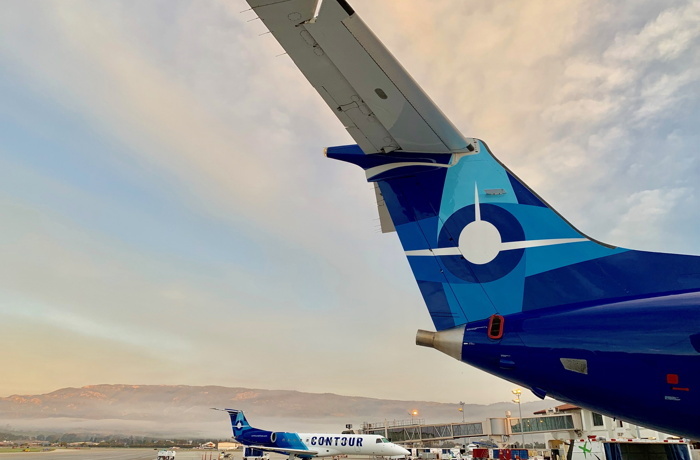 Contour Airlines announced today that it has selected Santa Barbara, CA as a focus city and will begin new service between Santa Barbara and Sacramento, CA on April 16, 2019. The carrier will also increase the number of flights from Santa Barbara to Oakland and Las Vegas to two daily round-trips (except Saturdays) beginning May 15, 2019. Fares between Santa Barbara and Sacramento, Las Vegas, and Oakland all begin at just $99 each way. We've heard our customers request service to Sacramento over and over again since we began service in Santa Barbara this past fall," said Matt Chaifetz, Chief Executive Officer. "We're thrilled to not only introduce a new destination, but also to increase the frequency of our immensely successful Oakland and Las Vegas services. Now, customers traveling to both of those cities will have a choice of departure times to best meet their needs and they can skip the long unpredictable drive to Los Angeles-area airports. We're proud to be Santa Barbara's hometown airline." "Contour has been a welcome gift to Santa Barbara; first with flights to Oakland and Las Vegas and now with Sacramento," added Santa Barbara Mayor Cathy Murillo. "We are so excited that this airline has jumped at the opportunity to provide this much sought-after service." Flights will be operated by Embraer ERJ-135 regional jets featuring 30 leather seats with 36" of legroom in every row. Contour offers complimentary snack and beverage service as well one checked bag free of charge to all passengers.